Grey Herons are one of my large challenges (my wife can tell they are - not one week without a teasing comment on grey herons from here side). They are extraordinarily vigilant birds, and coming close is tough. Long tele lenses and a sound dose of patience are mandatory. Or better : A camouflage tent (which I don't have). However every now and then I get some picture of those flight-taking hectics. 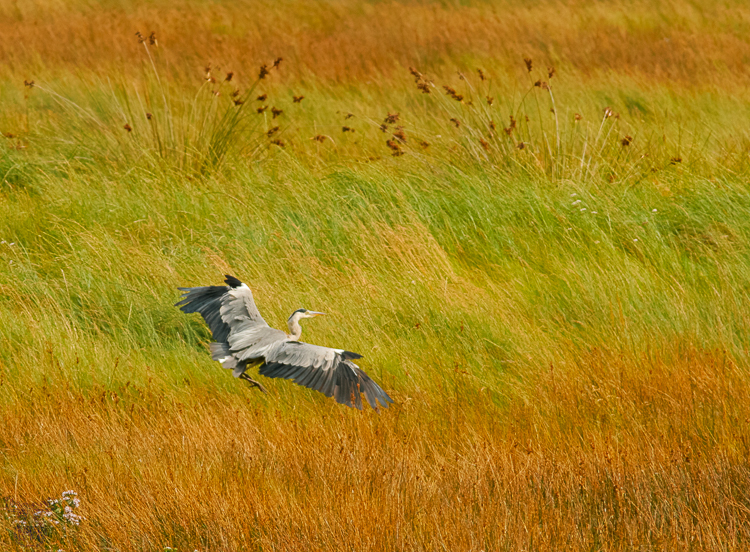 This one seen during our trip round the Ring of Beara in County Cork I personally like, although not being a close-up, due to the background of grasses behind the landing heron.